Caroline and Jimmy’s nautical Clearwater Beach wedding featured a light and airy color palette of various shades of blue and peach, along with personalized decor that represented the couple’s personalities. 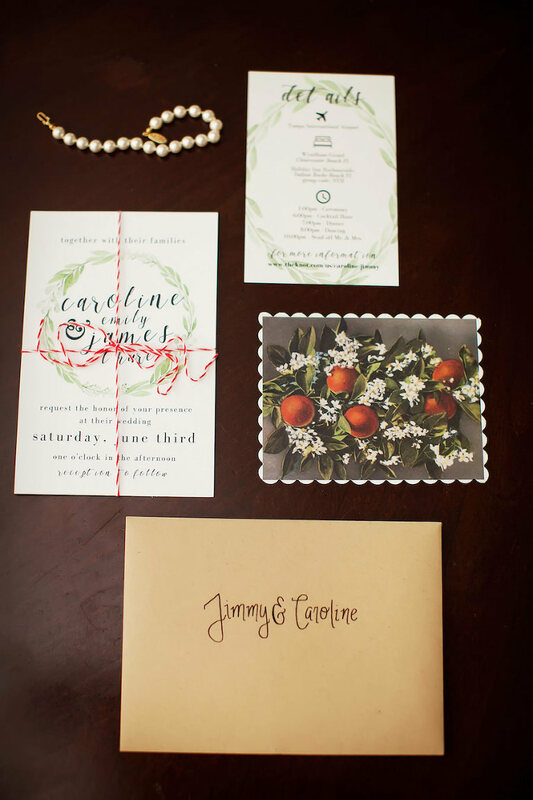 The Pensacola couple sought a Clearwater Beach wedding venue that could fit all of the things on their checklist and also provide wonderful service for their guests. Searching for a Clearwater Beach wedding photographer who could capture the candid details and special moments of their day, the couple hired Limelight Photography. 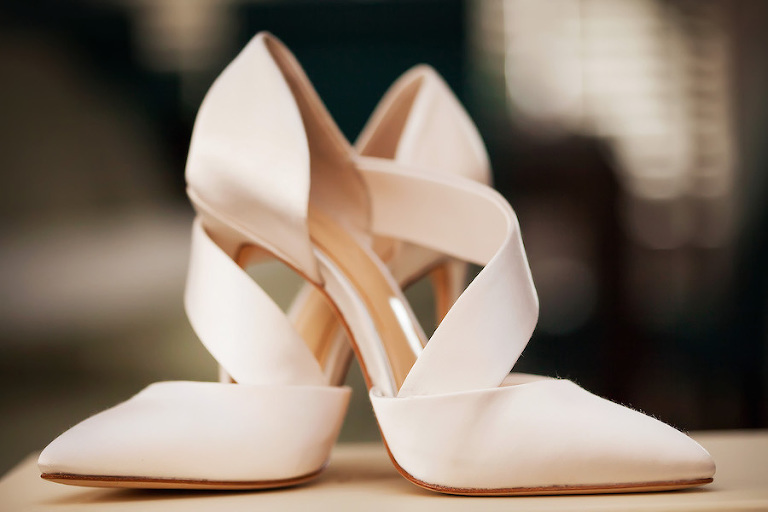 Looking back, the bride’s most cherished memories was when she first locked eyes with her husband-to-be as she took her magical stroll down the aisle and during the reception. “I would say the most memorable moments were when I walked down the aisle towards Jimmy (the first time we got to see each other all day), as well as the father/daughter and mother/son dances. 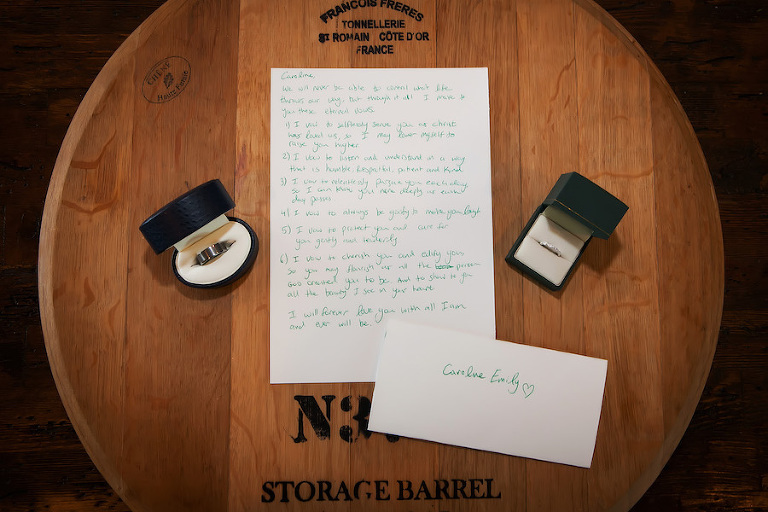 Those few moments really exemplified the beauty we really wanted to capture in our wedding, namely, our sincere commitment we have towards each other and the ways we have been supported and loved dearly by our families and friends,” Caroline reminisced. Jimmy proposed in front of our kindergarten Sunday School class that we taught together weekly. It was a complete surprise as he popped the question on the stage while we led the kids in a big group activity. While the kids thought it to be entirely gross, I was swooning over Jimmy’s creativity that led the kids to be involved, our church family to surround us and even my entire family to be hiding in the back! Our biggest desire was to have a reception space that had a lot of natural light and beautiful views through large windows. We really wanted to have a space that was very open, well thought out and felt very light and airy. As much as we love the outdoors, a June wedding in Florida does not welcome convenience for an outdoor wedding, which is what we had originally wanted. As we began our search for an indoor reception space, we were really hoping to find one that welcomed the natural beauty of the outdoors. I think one of the main things I wanted in a photographer was an artist that was able to capture the little moments that make a wedding so special. From the look of the parents of the groom as the bride walks down the aisle, to the looks of the guests during the maid of honor speech, all the way to the little kisses shared between the bride and groom all night, I wanted to make sure our wedding photos reflected the love and joy that was so apparent in every moment of the day. We hired Limelight Photography because of the willingness to meet our specific budget and for the beautiful work they shared with us from their previous jobs at the Hyatt. We absolutely adored every person that was part of their team. They were creative, kind and hard working, all traits that led to an amazing final product in our wedding photos. We love them so much! Nautical. 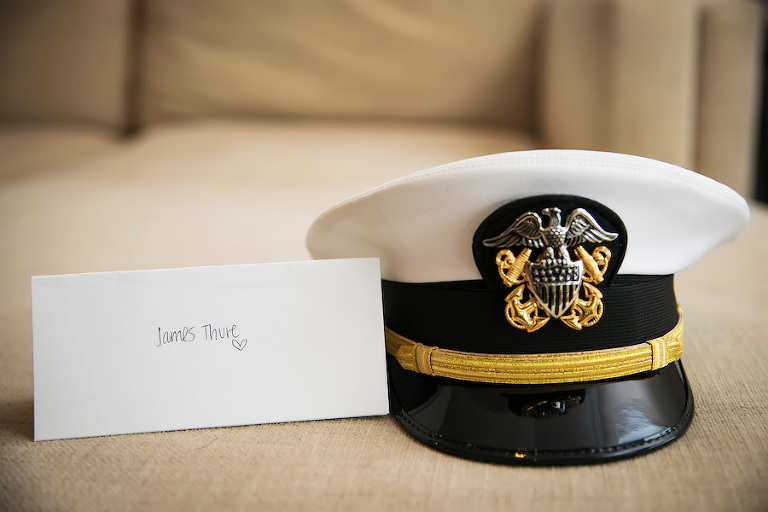 We chose that theme because Jimmy is in the Navy and my maiden name is Saylor! It fit quite well with our background and our style. We loved the light and fresh colors of light blue, navy blue and peach and the look of ropes and sea coral. A lot of the wedding decorations also included greenery as the focal point. We chose those colors because we believed they reflected the nautical theme of the wedding quite well, and it gave the wedding a very fresh and light feel; everything you love to see around the sea. Enjoy your wedding day. Don’t worry too much about the details because everything will fall into place if you just focus on the fact you get to marry the love of your life!